Spinning up to three liters of sample at an incredible 4,740 RPM / 5,250 x g, the refrigerated X-15R allows you to perform faster separations and optimized recoveries. The robust refrigeration cools from ambient to 4° C in less than 4 minutes – over 10 minutes faster than equivalent three liter centrifuges. 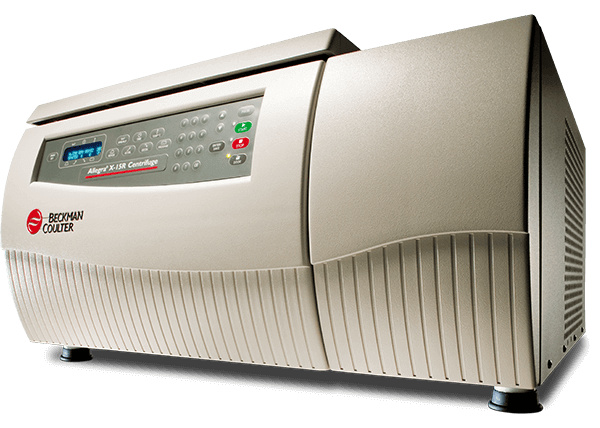 Features include a pulse timer up to 99 hours and 59 minutes, ten user-defined programs with 10 acceleration and 11 deceleration profiles, and fast and slow blood component spins.